Cathy Isom gives us some practical uses for the fast-growing, cold-hardy exotic tree you may want to consider for your yard. That’s coming up on This Land of Ours. 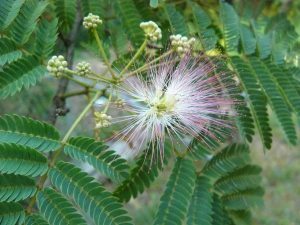 Mimosa trees, otherwise known as Persian silk trees, are beloved ornamental trees because of their beautiful pink pom-pom flowers with an amazing fragrance, and fern-like foliage. But it isn’t just their beauty that makes them attractive. 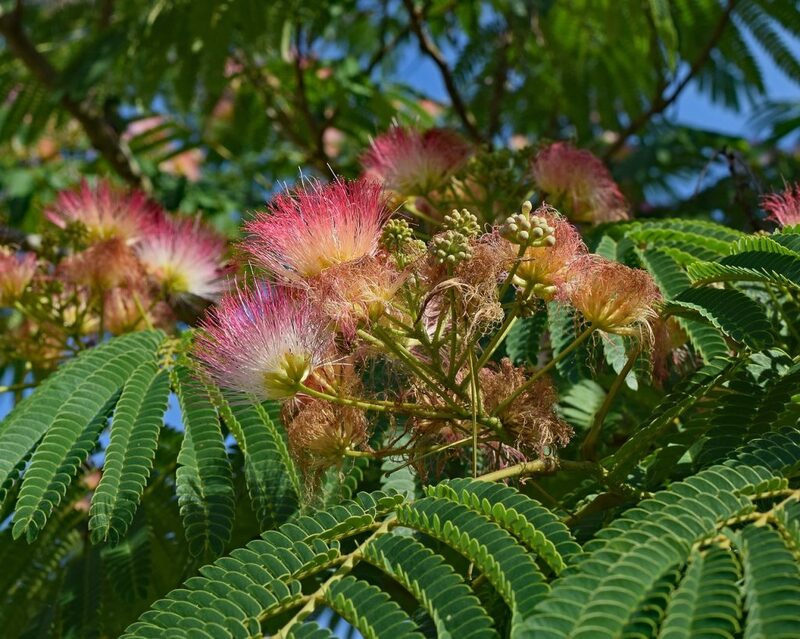 Mimosa trees are fast-growing, cold weather tolerant, and pollinators love them. Bees and butterflies like to hang around mimosa trees, which means that they’ll be happy to set up in the garden and help pollinate other plants. Mimosa trees also have edible parts. The flowers can be used like vegetables, and the young leaves can be eaten as pot vegetables in soups and stews. The bark of the Mimosa tree is also commonly prescribed in Chinese Medicine. It is used as a spiritual cleanser, good for helping with depression and irritability, as well as insomnia. It’s also known to help with skin disorders and skin irritations.